I am a wife to my best friend from college, and the mother to three daughters. I live in a tiny town that sits on a lake, on the prairies of Kansas, USA. I am employed both as a church soloist (I am a classically trained soprano), and also a librarian. Other than my amazing family, the thing I eat, sleep, and breathe is mixed media art and craft. 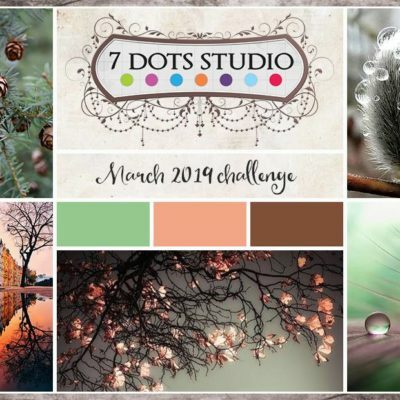 I adore creating scrapbook layouts and canvases, tags, cards, and altered projects with an eclectic, free, and soulful vibe. In the time when I’m not creating, I also enjoy photography, sewing, reading, thrifting, swimming and snorkling. Most days, I also spend at least a little time planning, journaling and dreaming, about relocating to Oahu, Hawaii; my favorite place on earth. 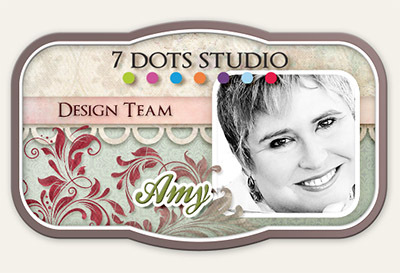 I am honored to be a part of the 7 Dots Studio design team, and to work with such amazing products.